It’s a 2013 thing. You wouldn’t understand, Future. For 2011’s list, click here. For 2012’s list, click here. 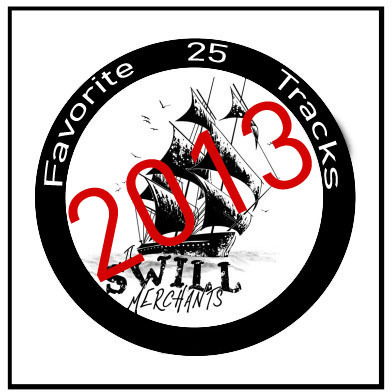 To subscribe to 2013’s list, click here. Keep track of SM posts on facebook here. Keep tabs of SM posts on twitter here. * = Not available on Spotify and therefore not on the embedded playlist below. Soundcloud provided. – 17 of the 25 above songs are led by female vocalists. – 2of the 25 are rap songs. – 13 of the 25 are bands or artists from the States. – 6 of the 25 are artists from the UK. – 3 of the 25 above are solo female singer songwriters. – 1 of the 25 of the above is a male singer songwriter. – 7 of the 25 of the above I have seen live. – 20 of the 25 above are songs off debut albums, EPs or released as singles without a EP or debut LP assigned to it. – 3 of the 25 songs are by artists that have previously released full length albums. – Lorde blew up so fast she wasn’t on any “ones to watch lists” in 2013 and is now on her own worldwide tour, topping the billboard charts and “Royals” has reached overplayed by the radio status. Incredible. – Society’s “All That We’ve Become” technically came out at the end of 2012 but I didn’t hear it until very late 2013 or 2014 so I’m cheating and am okay with it.